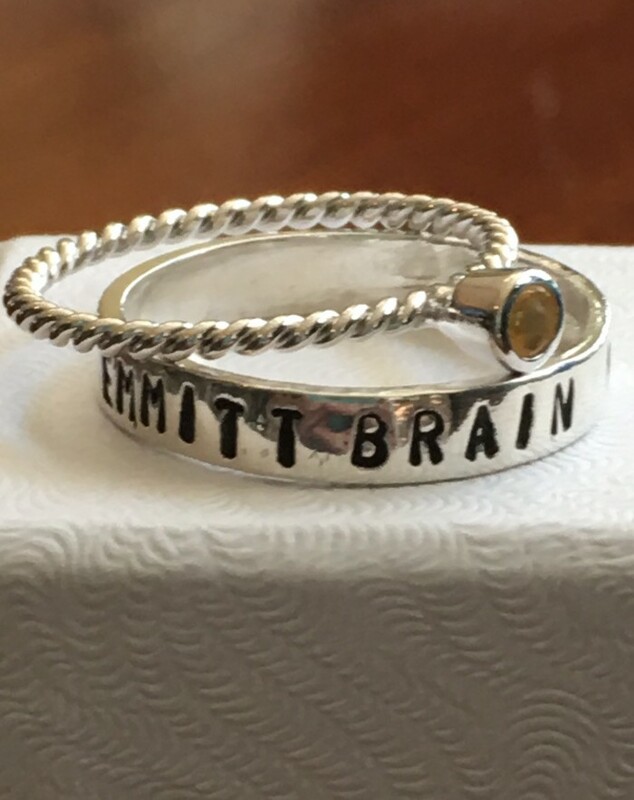 Sterling silver stackable birthstone name ring makes a wonderful graduation, birthday, confirmation, bridesmaid or a “just because” gift to cherish a lifetime! Sterling silver ring set is available in sizes: 5, 6, 7, 8, 9. Birthstone ring measures 2mm- rhodium plated and available in every month. Categories: Best Sellers, Birthstone Rings, Collections, Gifts, Gifts for Kids, Graduation & Teacher Jewelry, Hand Stamped Rings, Moms, Sisters, Aunts and Friend Gifts, Rings, Stackable Rings. ONE RING IS INCLUDED. 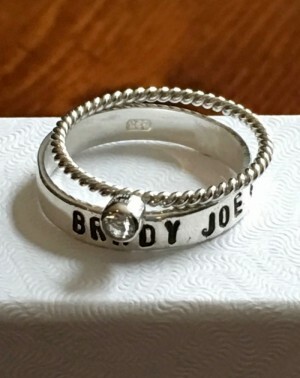 ENTER MONTH(S) IN THE BOX MARKED “PERSONALIZATION” PROVIDED AFTER YOU SELECT NUMBER OF RINGS.. 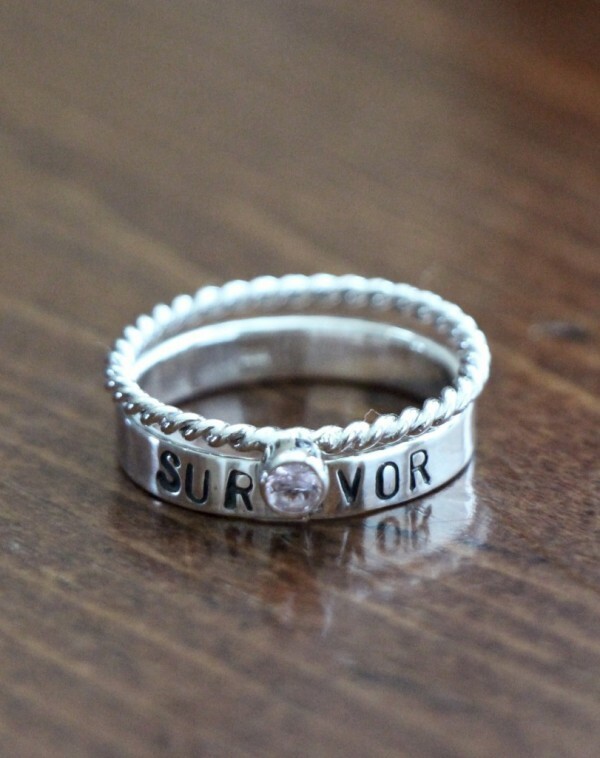 Enter a name, date or short phrase up to 12 characters for each stamped ring selected. 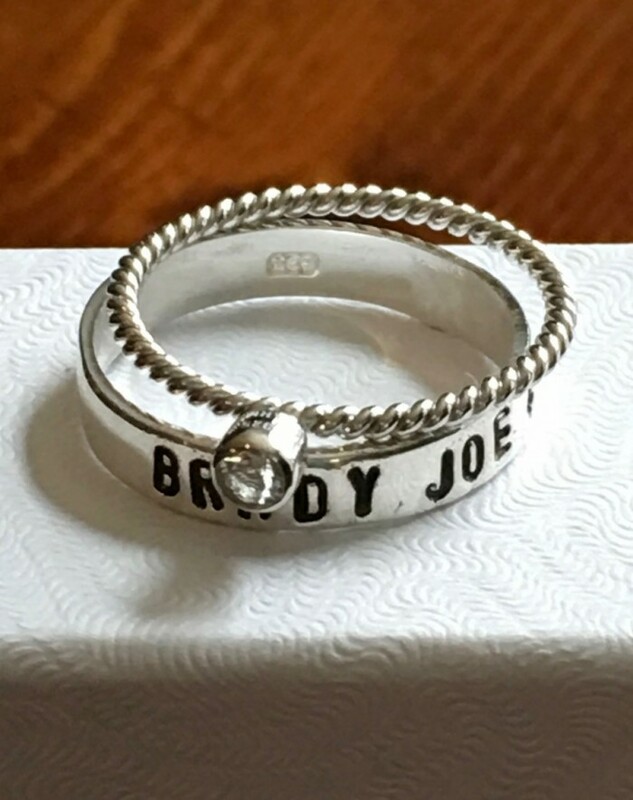 Tags: Birthstone rings, hand stamped ring, name ring, stackable ring.